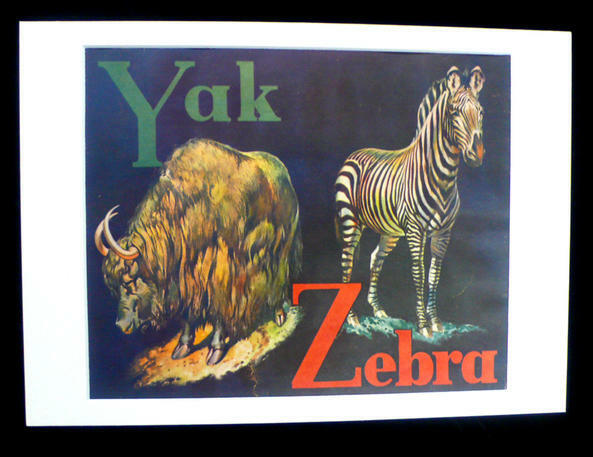 This is one of a series of prints salvaged from a 1930's child's alphabet book. Each one is printed on a black background with clear bright colours and unusual choices of representative animals and birds. They are framed with a card mount, the print size is 20cm x 24.5cm.